Children's playgrounds, children's playgrounds, playgrounds, sports grounds. The InterAtletika Group of Companies - national manufacturer of power sports and fitness equipment and sports industry leader in Ukraine. We are actively developing for almost 20 years and during that time gained a strong reputation and gained valuable experience in the market of sports goods and services. The main objective of our company - to strengthen public health through the mass popularization of sports and healthy lifestyle. We value our customers, guarantee the quality, reliability and excellent service in the implementation of any projects, sports and recreational focus. 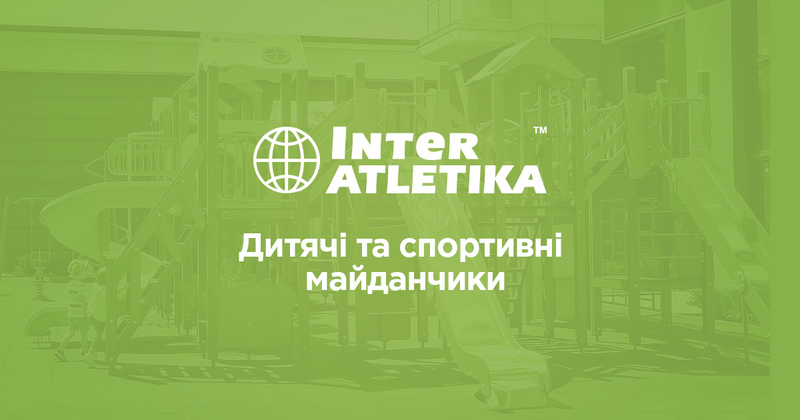 Selling the full range of products for sports at home (equipment TM «Inter Athletics» is represented in most sports shops Ukraine). Recently, our corporation has taken place and in the beginning of the year, we are so pleased to sum up and think about the future. The Urban Design & Landscaping Exhibition 2018 (26-29 November, Dubai, UAE) is the largest event in the Middle East in the field of urban and landscape design. A friendly football tournament was held in Vyshneve on November 17, 2018.